Kevin Pietersen lets the ICC know what he thinks of the one-day game. In Part I and Part II of this blog, I (Martin) painted a pretty picture of the recently concluded Indian Premier League 5 as a festival of entertainment, which it is. But the IPL is much more than that: it’s an event that is shaping the future of cricket. In the next few days, Chris Gayle—the undoubted batting star of the this year’s IPL—will open the batting for the West Indies in the one-day series against England, having been unavailable for selection for the Test series, which England won 2-0. On the other side, Kevin Pietersen—who was also a huge hit in the IPL—will not be playing for England because he has abruptly retired from all one-day international cricket, citing work overload. 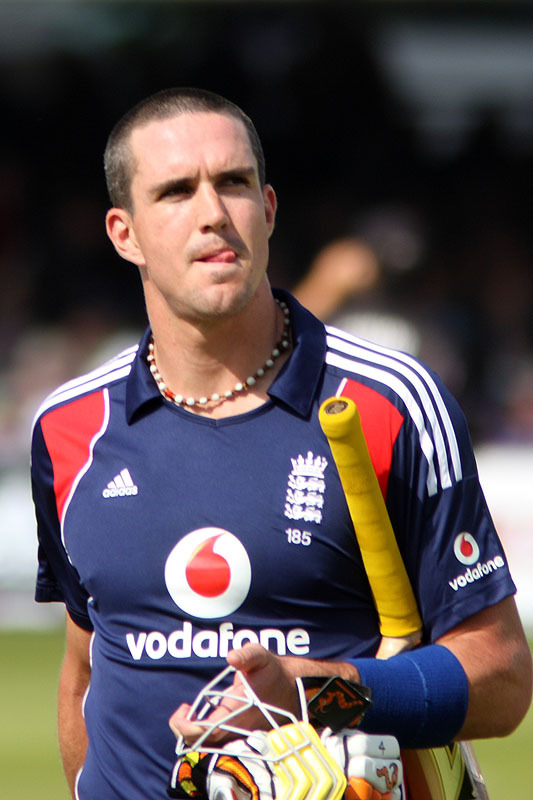 Pietersen cut short his time in the IPL in order to play the Test series against the West Indies. What’s going on? The troubled relationship that these two batsmen—both big-hitting, flamboyant, crowd-pleasers—have with their respective boards goes deeper than whether or not they can play for the IPL and still represent their countries. But the IPL’s riches—players can make several hundred thousand dollars for only seven weeks’ work—cannot be ignored. International stars want to be part of that, and the cricketing year (packed by the various boards with meaningless one-day games and pointless Twenty20 bashes) is draining the enjoyment and energy out of players. Pietersen is married with a young child: the constant touring and life on the road takes a toll—especially when, unlike in baseball, you’re not traveling three hours away for five days but to the other side of the world for months. The cricketing authorities—especially the International Cricket Council—will, sooner or later, have to leave a space in the calendar for the IPL or risk having the cream of international cricket not playing for their countries. The various boards will have to cut seven and five one-day series between countries to five and three or face the same exodus of the older, big-box-office stars. When I was growing up, cricket matches were rare enough that they became occasions to be eagerly anticipated and then relished. These days so much cricket is played that, as the great BB King would sing, the thrill is gone. That’s why you gotta love the IPL: sooner or later, with much angst and hand-wringing, it’s going to reorganize the cricketing calendar for the better. This entry was posted in Cricket, IPL and tagged Chris Gayle, Kevin Pietersen. Bookmark the permalink. Subash, the ICC is not known for consistency in its decision making. The reluctance to create a window stems entirely from the impossibility of having multiple windows; a problem easily resolved by creating two fixed windows for all leagues, one for each hemispheric summer. Though that’s not a solution I expect to see any time soon, mostly because the various boards would rather take their chances without a window than compete with each other for players. A rather sad state of affairs actually. If players did have fixed windows for T20 cricket – wherever in the world they played – then their livelihood could be maintained from playing domestic cricket, and international cricket could be played less often, for greater stakes, with an emphasis on test cricket. Players would be paid by the boards, but not be dependent on that money, much like Davis Cup tennis, or international football. What we will end up with (if we don’t have it already) is a de facto window, with boards unwilling to schedule tours during the IPL for fear of player pull-outs, and the calendar a mess of pointlessness as a result. I don’t share your optimism Martin that the calendar will improve, at least in the short-term. In the long-term many things are possible.